Improve the Supply: For example, switching from fuel-based electricity to renewable sources by purchasing RECs, or using captured rainwater instead of mains water for irrigation. Decrease demand: For example, setting my heating thermostat to a lower temperature, or using natural instead of artificial light. Increase efficiency: For example, insulating my home, or swapping bulbs for more efficient ones. Improve control: For example: adjusting temperature better according to current needs, or setting timers & sensors on lights. Smarter control is really a means to reduce demand or increase efficiency, but I like calling it out as it forces me to think of new areas of improvement. Smart controls avoid the use of resources when they are not needed because of real-time environmental conditions, they allow remote or automatic control, give you more fine-grained options on how to use a resource, and can even learn your behaviors and nudge you into less demand. The difference between a control and just a sensor/meter is that it does stuff. This is the energetic rockstar of my house, and a design beacon for the growing industry of smart controllers. Based on my data, I can attribute an approximate 20% on heating gas savings this last winter to this device alone. It has been the item with the highest energetic ROI-per-dollar in my house since. The Nest thermostat allows me to control my heating remotely via my phone, learns common patterns, turns of unnecessary heating, and nudges my behavior via little ‘green leaf’ icons and monthly points I can accumulate, gamefying my energy conservation. It’s worked so well it will get a bunch of blog posts on its own. 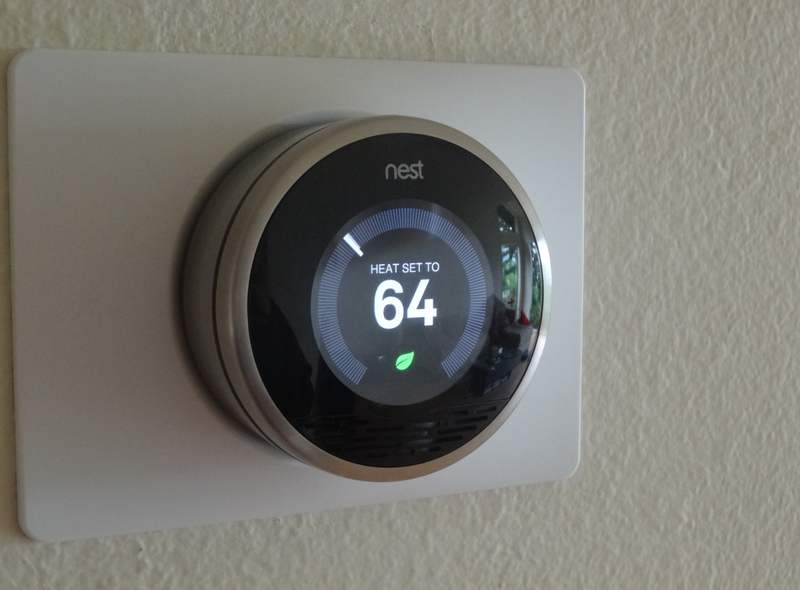 See the Nest thermostat and reviews on Amazon. This smart power strip senses if a ‘master’ outlet is being used, and if not, shuts off the power to most other outlets. I use this strip to reduce “phantom draw” from peripheral devices around my computer, for example. USB Hubs, speakers, and other accessories are all plugged into the secondary/slave plugs. When I take my laptop away or it is not drawing power from the source, all these devices loose their source power within a few seconds. A power strip that feeds to electronics I rarely use but for some reason tend to stay on like printers. Our home theater assembly. After 3 hours, it turns all the gear off (except a network switch and a Roku, which are fanless solid-state devices that draw a few watts combined combined). I also plugged the Xbox is also on a non-timed outlet, for long downloads to continue independently, but the Xbox is pretty good about turning itself off when it should. 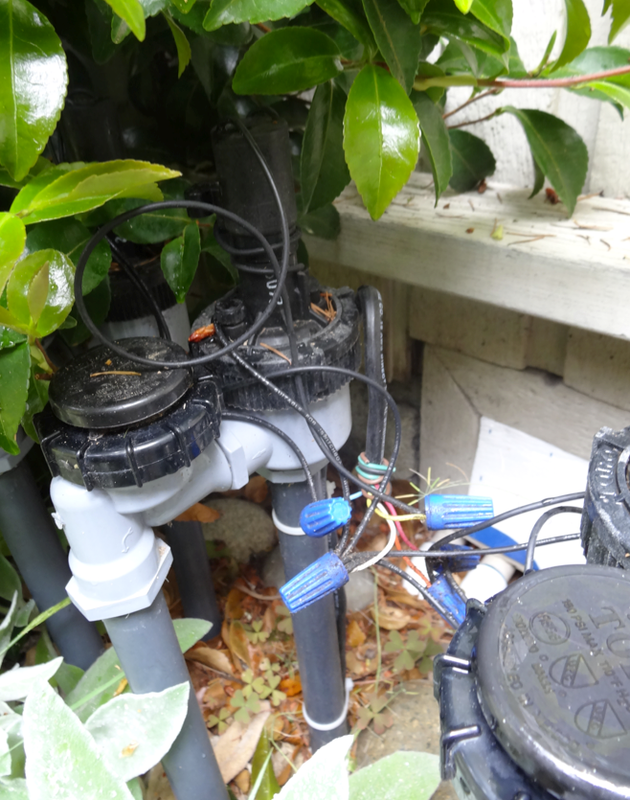 Solenoids (electric faucets) controlling outdoor irrigation. I’m on the fence on this one, but I’ll include it as it touches upon using smarter controls for water conservation. I am not a fan of using mains water for irrigation and I believe automated timers have done more harm than good in conserving water (I haven’t seen data either way, but it’s a strong hunch), even with the growing popularity of drip irrigation. Anyways, I recently wired some solenoids (water taps that can be controlled via electricity, in this case 24v) on a couple of irrigation lines and hooked them up to a timer device. It stays off and we use it as a manually activated timer on seldom occasions. If I could hook it up to soil humidity sensors I would feel better about leaving them in automatic. I guess this “Smart control” isn’t so smart yet. Maybe it will be an Arduino project for a rainy weekend to improve this. It rains so often here that capturing some of that would make the most sense. Another example of a smart control for water conservation would be those simple toilet-flushing buttons that give you two options to use more or less water based on what needs to be flushed. It’s simple but I haven’t installed these yet. Smart controls can help us reduce consumption and increase efficiency. Sometimes they may seem expensive but if you make sure to keep measuring your gains you may be surprised! There are many other ways to reduce, reuse and conserve resources that don’t require you to buy anything, but these controls are an example of technology playing a good role in helping improve our lives and the planet.